How PCOS, the causes of infertility, can affect the chance of conceiving? 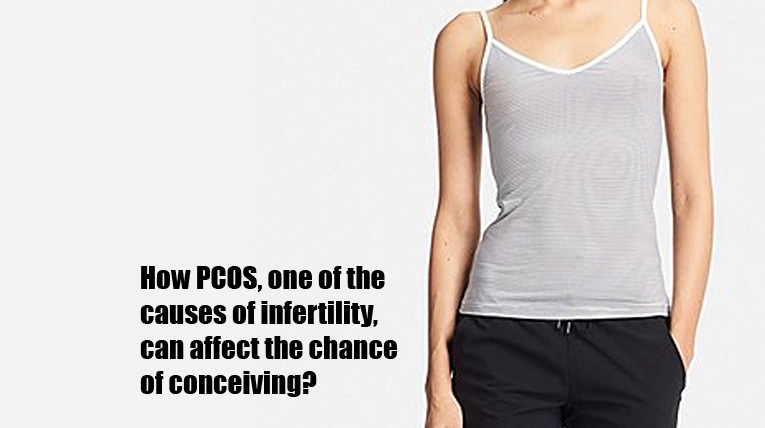 How PCOS, one of the causes of infertility, can affect the chance of conceiving?	" How PCOS, one of the causes of infertility, can affect the chance of conceiving? Pregnancy is not only one of the most cherished phases of a women’s life, but it also helps women rediscover herself in a whole new dimension. One gets to explore all sorts of emotions in this phase. But some women are unable to experience this phase because they are not able to conceive. The inability to carry out the pregnancy to full term or even not able to get pregnant is called INFERTILITY. The causes of infertility can be many, but the most common that is faced by the majority of women is Polycystic Ovarian Syndrome (PCOS). PCOS is also referred to as PCO (Polycystic Ovaries) or PCOD (Polycystic Ovarian Disease). As per the statistical data available, approximately 8-10% of the reproductive age are hit by PCOS which shows that it is quite a pervasive problem. The women having polycystic ovaries often face trouble getting pregnant, and they usually must undergo treatment to improve the probable chances of conceiving. A mature follicle develops during a normal menstrual cycle. This mature follicle is also known as a cystic structure. A mature follicle, ready to ovulate is about 18-28 mm in diameter. 14 days following the ovulation the female is expected to get her period considering that she is not pregnant. The First and foremost distinction between Polycystic ovaries and Normal ovaries is that even though polycystic ovaries contain many antral follicles with eggs, these follicles do not develop and mature properly; therefore, there is no Ovulation. Some signs can help in knowing the problem in time and therefore, lead to timely treatment. Proper Treatment at right time can help in conceiving. Having excessive facial and body hair growth known as Hirsutism. Painful Cramps at the time of periods. Other symptoms may include acne, weight gain, pelvic pain, depression. When to visit a doctor for Infertility Problem? If you have a severe or irregular vaginal bleeding. If you are regular with your periods but still have a problem conceiving despite trying for more than a year. If there’s a sudden increase in diet. If you feel fatigued and notice any symptoms of diabetes such as increased thirst and constant need to urinate especially during nights. If you feel tickling sensations or numbness in your limbs. Mood swings or depression or physical symptoms such as excessive hair loss or obesity. Switching on to a healthy lifestyle with a regular workout routine is the primary step. A nutritious diet without no smoking and no alcohol. Keeping a regular tab on blood pressure, cholesterol levels, and heart conditions. Undergoing treatments such as Hormone therapy which would help you ovulate. PCOS, one of the causes of infertility, can be suitably treated if it is discovered in time and proper consultation with the doctor is carried on, getting the best-suited treatment. It can also be treated with the help of many methods one these being laser treatments, but consulting your physician before opting for any treatment is a must! !